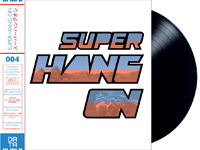 After Streets of Rage, Shenmue and Shinobi III, it's the turn of Super Hang-On to have its soundtrack pressed on vinyl at Data Discs. The Sega motorbike racing game released in 1987 that allowed the player to travel the world at full speed marked the minds of many arcade game fans. The songs composed by Koichi Namiki, Katsuhiro Hayashi and Shigeru Ohwada were recorded from the original arcade board (from a Mini Ride On type machine) and have been restored and re-mastered. The vinyl contains 7 tracks: Opening, Outride a Crisis, Sprinter, Winning Run, Hard Road, Goal and Name Entry. Only regret, the disc does not include the music of the original Hang-On game composed by Hiroshi Miyauchi. As usual at Data Discs, the packaging benefited from an extra care with die-cut letters revealing the inner sleeve. Like Japanese productions, the sleeve has an obi looped around it. The disc is available in classic edition (black vinyl 180g) and limited edition (180g transparent vinyl with blue, white and red splatters). Each edition costs £19.99 (€27.30). You can buy it directly from Data Discs website. 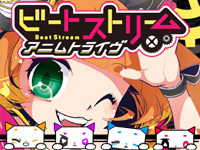 BeatStream Animetribe is out in Japan today. All the new songs come from anime series: Neon Genesis Evangelion, SÅsei no Aquarion, Shingeki no Kyojin (Attack on Titan), Himouto! Umaruchan, Haiyore! Nyaruko-san, Blood Blockade Battlefront, Psycho-Pass 2. A new "slide" feature allows an easier gameplay for beginners. There are also new visual effects when a note is played to better match the songs. 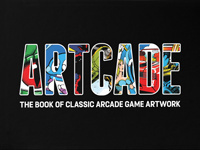 "Artcade - The Book of Classic Arcade Game Art" is a project launched on Kickstarter by Tim Nicholls in 2013. The aim was to publish a book containing marquee scans of classic arcade video games. After a successful fund raising campaign, the development encountered many problems with multiple changes of publisher and printer costing Tim a lot of money in the process and nearly caused the cancellation of the project. Add to that the death of his mother and you understand that it really was not easy. The good news is that the book will be released in March 2016! It will be published through Bitmap Books where Sam Dyer worked with Tim Nicholls to make the book a reality. Pre-orders are open at the price of £24.99 (€34.26) per copy with free delivery within the UK. The book contains 340 pages of high-resolution scans of marquees from games such as 1942, Joust, Bubble Bobble, Defender, Pac-Man, Hang-On,... Each marquee is printed in a large landscape format covering 2 pages. Artcade also includes interviews with artists Anghelo Python Vladimir (who died on April 9, 2014) and Larry Day (Stern, Gottlieb, Mylstar, Williams,...). Pre-order Artcade at artcade.co.uk. 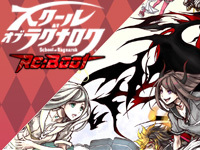 A new version of School of Ragnarok is out today. This upgrade brings new features and graphics. Lulu and Nono are the two new player partners. They are twin sisters but have opposite behaviors. Lulu wears a black costume and Nono a white one. The training mode is now more simple. It is easier to learn all the moves ans skills. The player can enter the training mode during a fight with 1 credit: the enemy stops for 600 seconds and the player can practice moves and skills. The fight continues after. The new graphics are more detailed and change the player current character appearance. You can watch the trailer here. Here it is! 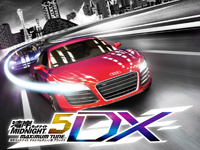 Wangan Midnight Maximum Tune 5DX is out in Japan today! This new version of Namco's famous racing game offers 8 new cars (including Audi and Dodge models for the first time): Audi R8 5.2 FSI Quattro, Audi RS4 Avant, BMW M3 CSL, BMW M1, Dodge Viper SRT-10, Dodge Charger SRT8, Mercedes-Benz SLS AMG GT and Mercedes-Benz 190E 2.5-16 Evolution II. A new course has been added: the Hanshin Expressway No. 3-harbor road. It's a course of nearly 20km made of various roads running through the harbor city of Kob (time attack video). There are of course other new features such as new hoods, wings and new wheel models to customize your car as well as a new stamp system; when you battle the ghost of another player, theat player receives a stamp from you. If he choose to run against your ghost in return, you'll receive a "return" stamp. By collecting "return" stamps, you can unlock backgrounds for your garage. New tracks of Yuzo Koshiro are added to the soundtrack: Fascination, Let it Shine, The Race is On and Risky Guy (extracts). No release date for the international version of the game has been announced yet. 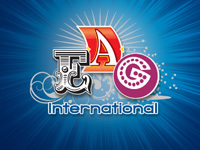 We start our previews of the new machines that you will discover at EAG International 2016 trade show on January 12th with manufacturer Universal Space. Universal Space (also known as UNIS), will present five new machines including three video redemptions. First is Polar Igloo, a machine for 2 players using the Lucky Hit game formula where a ball rolls down a plank with pins to fall in boxes of different value. The originality is a big screen showing animated backdrops and funny animations. There is also Strike Pro Fishing, a fishing simulation for 2 players equipped with a realistic fishing rod mechanism. It's up to you to judge the size of the fish; pull too hard and the line breaks, let it too loose the fish will escape. In Speedy Feet, the player must stomp as quickly as possible on the blinking footprint (there are six of them) to send the dinosaur back to its corresponding geyser. There are 3 levels: lava, ice and rock. In the Rodeo Race redemption game, the player shoots a water stream at targets and a wheel to allow his bull to cross the finish line to win the tickets. There will also be an innovative kiddie ride called Super Big Rig. It teaches children how to drive a truck. The child controls the truck using the steering wheel while the parent can interact with the vehicle through voice commands via a microphone. The popular Pirate's Hook and Safari Ranger games will be presented in 4-player versions and as a brand new 1-player "prize" version. The popular Duo Drive unveiled last year will be once again be there as well as the funny Monkey Shake Down and the well known Panning for Gold where the players must fish for gold nuggets in a small river to win tickets. All these products will be presented on the stand of Instance Automatics (booth #830). On this stand, you will also discover Jurassic War, a bouncy ball video vending machine where the player must shoot balls at on-screen dinosaurs to stop their attacks. The madness of the 90s returns in Namur soon!!! It will not be held under a tent on the Esplanade of the Citadel as last year but at Namur Expo! Note the date, it will be on Friday February 12th, 2016. In addition to the best and the worst of the '90s music, many activities are planned for this second Namur edition of God Save The 90's: a bouncy castle, a giant candy dispenser, makeup and '90s hairstyles stand, body painting, fluo deco, a foam cannon, bubble machines, a balloon drop and of course freeplay arcade machines! Arcade Belgium will offer once again a selection of the best original arcade games of the '90s covering all genres. We will be happy to return to Namur Expo, the last time was in the month of September 2014 at the first edition of Retro Made In Asia. God Save The 90's means lots of fun and an happy mood. The atmosphere is unique and you have to attend it at least once. Those not knowing what this is about should check this video shot at the last Liège edition: https://vimeo.com/141264233. Presales will begin on Monday, December 14th at noon (that's tomorrow). Attention, do not miss this appointment because all the previous editions were sold out! 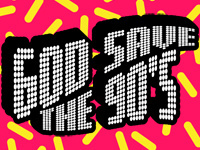 Here is the magic link to obtain your tickets: http://godsavethe90s.be/tickets/. 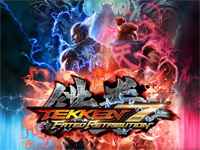 Tekken 7 update has been announced during the award ceremony of the KING OF IRON FIST TOURNAMENT 2015 finals: its title is Tekken 7 Fated Retribution. Big surprise: the unveiled new character is none other than Akuma from Street Fighter. He will not be just a guest but will have a deep connection with the story of Tekken. Katsuhiro Harada revealed that the man seen with Kazumi in the dojo in Tekken 7 intro was in fact Akuma and not Heihachi as everybody thinks. Tekken 7 Fated Retribution will bring better graphics, new characters, new costumes for all characters and new stages. The KING OF IRON FIST TOURNAMENT 2015 finals was played between KNEE (Japan) and Novi (Korea). Novi won with Dragunov while KNEE used Devil Jin. AO (Japan) finished 3rd with Alisa. You can watch the trailer here. 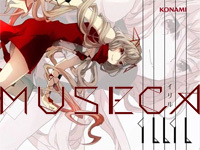 MÚSECA is the newest rhythm game in the BEMANI series from Konami. It is out since yesterday. The control panel features 4 buttons and there is also a pedal. The buttons rotate at 360 degrees and the player must perform specific actions such as hit, charge, spin and kick when the falling on-screen object hits the mark at the bottom of the screen. There are 3 ranks for the action: critical, near and error. Each character (named Grafica) has special abilities to help the player. Music are composed by artists such as GUMI, 40mP, Last Note,... You can watch the trailer introducing the gameplay here. 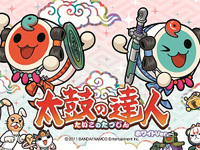 Taiko no Tatsujin: White Ver. Taiko no Tatsujin: White Ver. is available in Japan today. The new cabinet decorations are white. All data of the Murasaki version are of course transferred. As usual there are new songs including well-known artists and animes: Sekai no Owari, Sword Art Online, One Piece, Yo-Kai Watch,... A collaboration with Love Live! (the multimedia project of idols from ASCII Media Works) will start on 25 December, however, two songs are already available: Angelic Angel and Snow halation. For the first time, Bandai Namco will sell official drumsticks for the arcade game: original MyBachi drumsticks. They will be on sale in selected Namco game centers until February 14 and may be used in official tournaments.